Nearly nine decades ago, in 1921, the first National Race Amity Convention was organized in Washington, D.C. The event followed by two years the 1919 "red summer" of bloodshed from racial violence in our nation's capitol and other cities. Two individuals were at the center of organizing the unique initiative to bridge the racial divide. The protagonists were an unusual paring. The first principal was a white Washington, D.C. socialite and daughter of a family that included generals and admirals in every generation going back to the Revolutionary War. Her collaborating ally was a Treasury Department lawyer who was the son of a South Carolina African American Civil War militiaman who fought guerilla fashion for the Union Army in his home state. This unusual pair, despite the gap in their origins and standing, organized a conference that attracted nearly two thousand attendees and the support of high standing officials, including Senator Moses Clapp of Nebraska. There is much more to this story, and it will be told in due course. For now though, that act of courage and the commitment of the two key contributors to hoist the banner of race amity prompts me and several allies to begin organizing a commemorative event for June 2011, a National Race Amity Conference to be held in Boston, Massachusetts. It will mark the 90th year of that historic convocation. The June 2011commemorative event will be in the spirit of "the other tradition." The "other tradition", coined by one of my mentors, Dr. Richard W. Thomas, is the oft overlooked pattern in history of close cross cultural collaboration which helps us find our way through the swamp of racism to the firm ground of equity, amity, and unity. 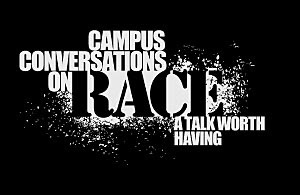 The "other tradition" will help us organize an event that will continue to move us on the path toward race amity. Please stay connected for weekly developments on this undertaking. And, if you have an idea, want to participate, or support it financially or otherwise, please contact theot@wheelock.edu.